Available now from Rollies Speed Shop Distribution, are the fantastic range of products from Kreem, essential for all fuel tanks old or new. Tank rust can cause poor fuel economy, rough running, and clogged lines, while leaky tanks can destroy paintowrk. 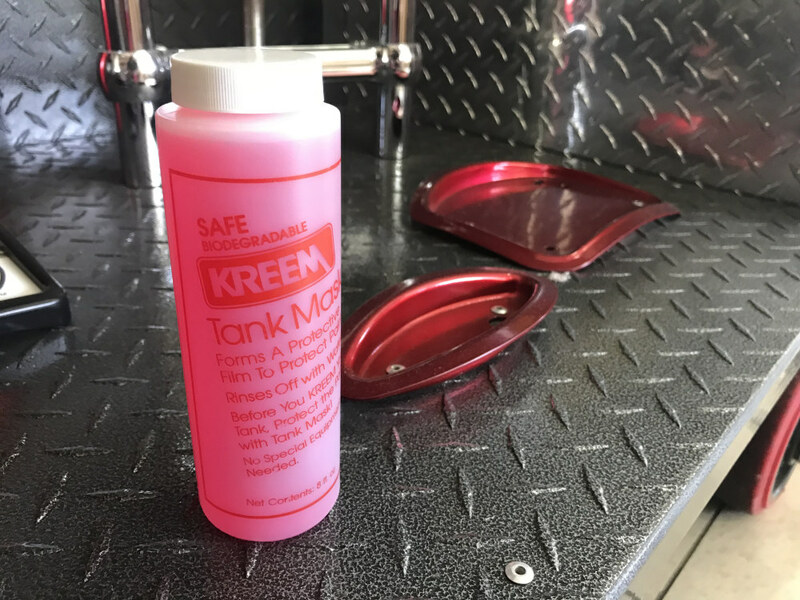 Kreem’s line of products has everything you need to protect your tank, your paint, and your engine. 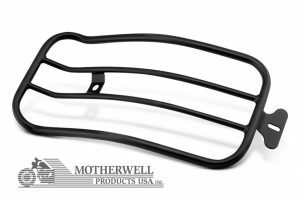 KREEM FUEL TANK LINER is designed for use as a preventive maintenance product in metal tanks new and old. KREEM TANK LINER has a unique formulation with extremely rapid set-up that prevents leakage from hairline cracks and seam pinholes by coating the tank’s inner surface with a fuel resistant elastomer. 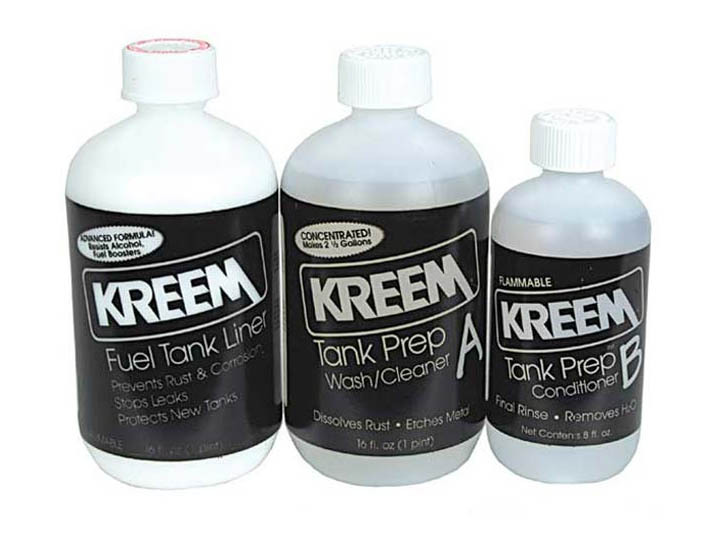 Leaking fuel can destroy paint work, so Kreem Fuel Tank Liner is essential for anyone investing in a custom paint job. Available on its own or in a pack with Kreem Fuel Tank Prep A & B, a two part system that removes rust and prepares the surface for maximum adhesion prior to coating. If you’re lining a painted tank, be sure to protect the paint work with KREEM TANK MASK. 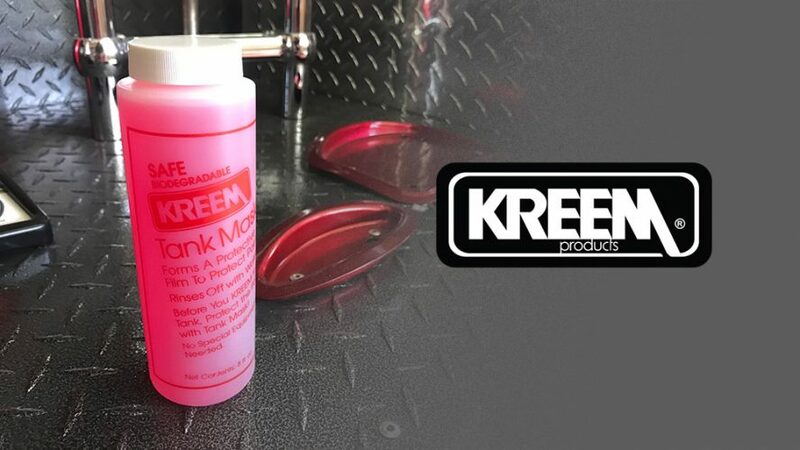 This water-based masking liquid is designed to be brushed onto painted motorcycle gas tanks and other painted surfaces, where it dries to a non-tacky film that protects surfaces against KREEM’s Fuel Tank Liner and Tank Prep B. TANK MASK also traps dirt and dust under its protective film and is safe for all thoroughly cured painted surfaces. Once your tank is KREEM TANK MASK peels off, or washes off with soapy water. This aftermarket tank cleaner & all purpose degreaser is designed to remove the protective oil film that is present on most aftermarket, new motorcycle gas tanks. 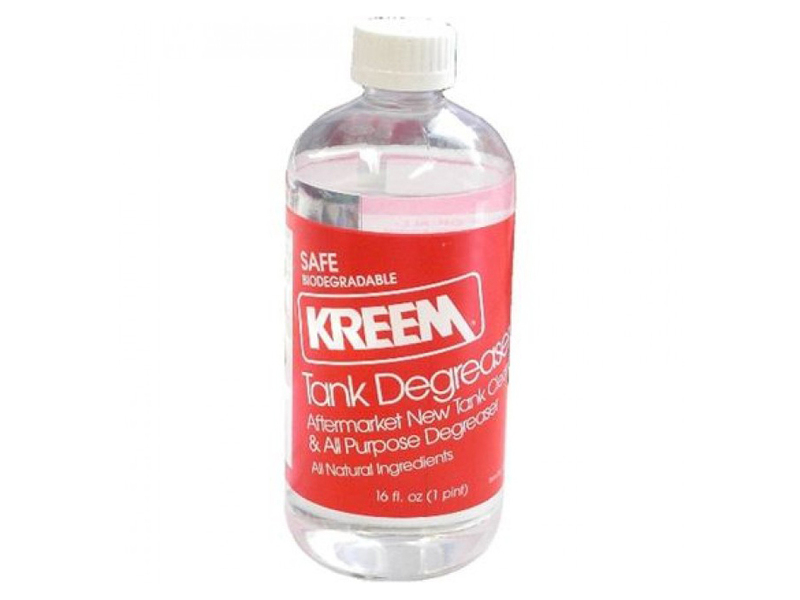 New tanks should be thoroughly degreased prior to using KREEM Tank Prep A & B and KREEM FUEL TANK LINER. Shop the KREEM Range now!